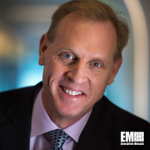 President Donald Trump intends to nominate Patrick Shanahan, Boeing senior vice president of supply chain and operations, as deputy secretary of defense. Trump announced plans to nominate Shanahan and five other individuals to various Defense Department posts in a White House press release published Thursday. Shanahan currently oversees Boeing’s manufacturing operations and supplier management programs, serves on the executive council and leads the company’s environment, health and safety and intellectual property management groups. The three-decade Boeing veteran previously served as SVP of commercial airplane programs and was responsible for the profit and loss management of the 737, 747, 767, 777 and 787 programs as well as operations at principal manufacturing sites in Washington state and South Carolina. Shanahan held vice president and general manager roles for Boeing’s 787 Dreamliner aircraft, missile defense systems business unit and rotorcraft systems segment. He is a fellow with the Royal Aeronautical Society, Society of Manufacturing Engineers and American Institute of Aeronautics and Astronautics.